Grow'n and Growers Farmers Market in McAllen. Farmers markets are a great source to seek a range of gifts originating from area farms. The Growing Growers Farmers Market in McAllen’s Firemen’s Park, located at the corner of 1st Street and Business 83 in McAllen, offers a wide selection of locally grown or produced items suitable for most anyone on your holiday list. Everyone is sure to appreciate the nourishing properties of goat’s milk soap. Goat’s milk, unlike other milks, contains natural fats, vitamins and minerals that help heal damaged skin and provide natural moisture. Goats milk soap, shaving bars and shampoo are sold at the Growing Growers Farmers Market in a fragrance-free bar. This thoughtful gift is especially nice for sensitive skin and is available in a range of natural fragrances suitable for both men and women. While we’re on the subject of skin care, this market also offers products made from Valley lemons and honey. Lemon scrubs for face and body are conveniently and exquisitely packaged for gift giving. These products exfoliate and refresh the skin, bringing the spa experience directly to your home. Needing appetizers in a snap? Goats milk cheese and chamoy preserves are available, along with a beautiful selection of fresh vegetables suitable for quick and nourishing vegetable trays. Sourdough bread and a wide range of fine Greek olive oils and Italian vinegars that are infused in a variety of herbs are also available to serve as quick, hassle-free appetizers. Potted culinary herbs, ready to transplant into your home garden or a container, can be found at the Growing Growers Farmers Market. These are great for gardeners and cooks alike. Locally fresh-baked goods are abound at this market. For those who have special dietary needs, gluten free treats or vegan options are also sold. Additionally, bread and butter pickles, dill pickles, and jams and jellies are available, including a collection of citrus jam. A local, artisan chocolate company, Mozna Chocolate, sells its 70% dark chocolate made from cacao beans from southern Mexico, Venezuela, or the orient weekly. Each source provides a distinct flavor. Herbal tea blends are also available, as are freshly baked Christmas cookies and grapefruit and pecan pies. With choices like these, it is easy to put together an authentic south Texas basket of goodies ideal for holiday gift giving. 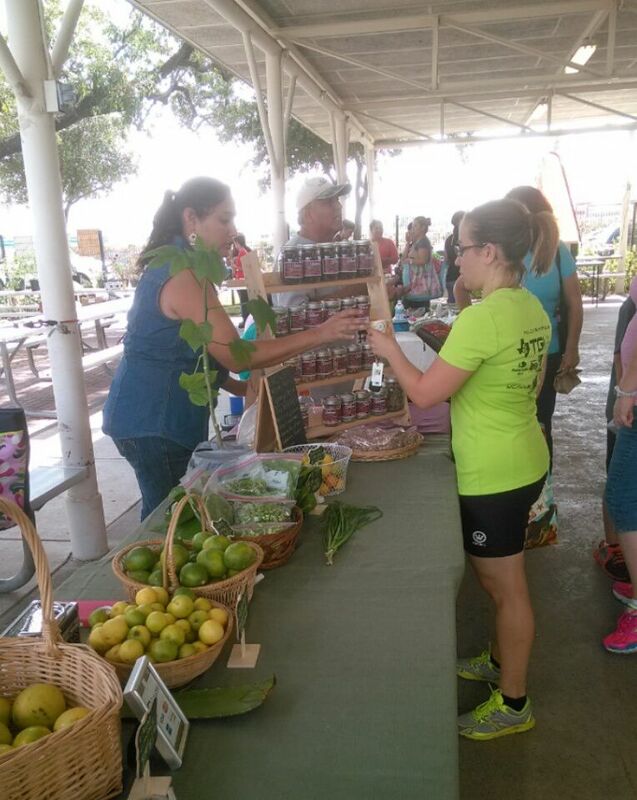 The Growing Growers Farmers Market is open today from 9 a.m. until noon.